Do you know someone who loves to garden? Send them flowers. They will love these forever flowers! 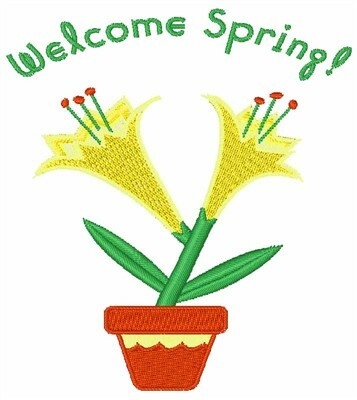 1Z Embroidery is happy to present Welcome Spring machine embroidery design which has 10175 stitches and is [90.86 mm x 122.95 mm] large. If you would like to view more embroidery patterns please search on our embroidery designs page.